This past August my fiancé and I treated ourselves to 3 weeks of traveling through Mexico. It had been five years since we were there last and my only regret from that last trip was that I didn’t go hunting for records. I wasn’t about to make that same mistake twice. We traveled through 4 states: Mexico (DF), Veracruz, Oaxaca, and Chiapas. My expectation was that I would only find records in the tianguis (outdoor flea markets) of Mexico City which I did thanks to Franz’s friend. Thankfully I relearned the most valuable lesson in record digging—records are everywhere. The key of course is making friends. Below is small sampling of what I returned with. The photo above was taken in Oaxaca after finding the bazar that I had been told about from a friend I made in another bazar. On our last day I stumbled across it after having no luck earlier. The place was dark, dirty, and filled with mosquitos. 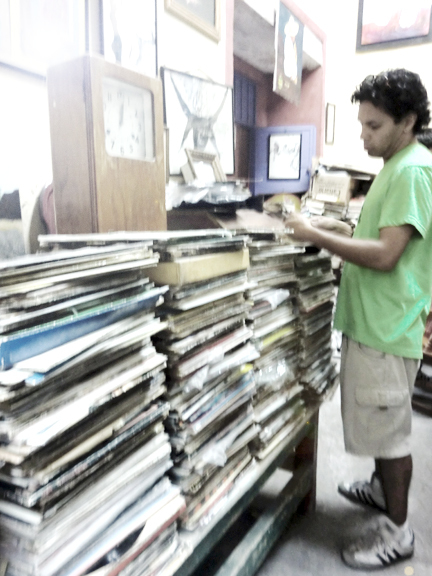 However, this bazar was also filled with stacks upon stacks of records. The only problems was we had a bus to catch with only minutes to spare. 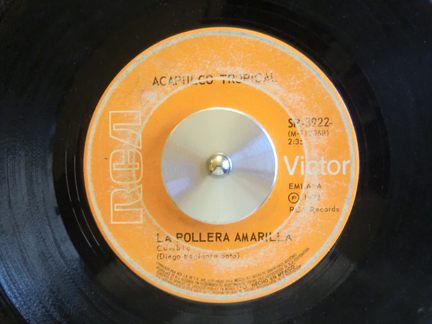 Digging at top speed I managed to find a fair amount of good stuff including this gem of a 45 from Acapulco Tropical called La Pollera Amarilla. By the time we crossed from Oaxaca to Chiapas I really didn’t expect to find more records, but again making friends is the key. This time there was no getting lost. After making friends with the owner of a vintage shop we were guided straight to a record store filled with deadstock vinyl. (Mil gracias Edgar!) Musically Chiapas is most known for marimba. To be honest, a lot of marimba music from Central America just doesn’t do it for me. 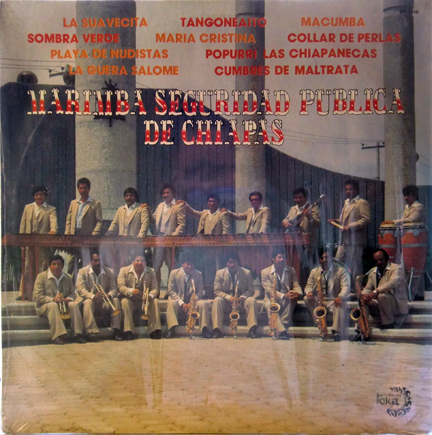 But how can you pass up Marimba Seguridad Publica De Chiapas, with it’s 8-man horn section covering La Sonora Dinamita’s Macumba? For those who have never been to Chiapas I highly recommend visiting if you get the chance. The natural beauty there is stunning beyond words. Of course we went to the Mayan ruins of Palenque. 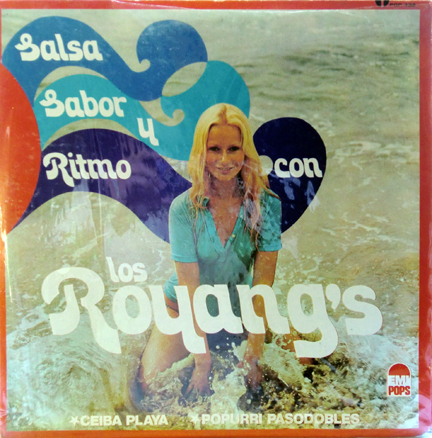 And it was only fitting to find this great record by Los Royang’s with Noche Palencana to provide the perfect soundtrack. Without a doubt my absolute favorite state in Mexico is Veracruz. I’ve managed to collect a wealth of favorite memories over a short period of time there. 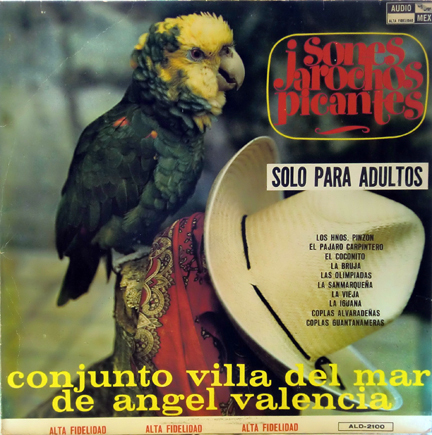 And of course Veracruz is the home of Son Jarocho which we’re all big fans of here at La Pelanga. Here is one of the great standards from Veracruz, La Bruja by Conjunto Villa Del Mar De Angel Valencia. I can listen to this over and over. Mexican salsa: tomatos, onions, garlic, chiles and limes are one of the best conjuntos of ingredientes ever! But in Veracruz you also have another legendary type of salsa—Sonora Veracruz. Here is a spoonful of their sound from the late 70s, El Pescador. As any record digger will tell you, unearthing and breathing new life into a record is the rewarding part. But the real treasures are all the memories of the places and people you meet in the process.